sac·ra·ment:\ˈsa-krə-mənt\ : A rite believed to be a means of or visible form of grace, especially: In the Eastern, Roman Catholic, and some other Western Christian churches, any of the traditional seven rites that were instituted by Jesus and recorded in the New Testament and that confer sanctifying grace. In most other Western Christian churches, the two rites, Baptism and the Eucharist, that were instituted by Jesus to confer sanctifying grace. 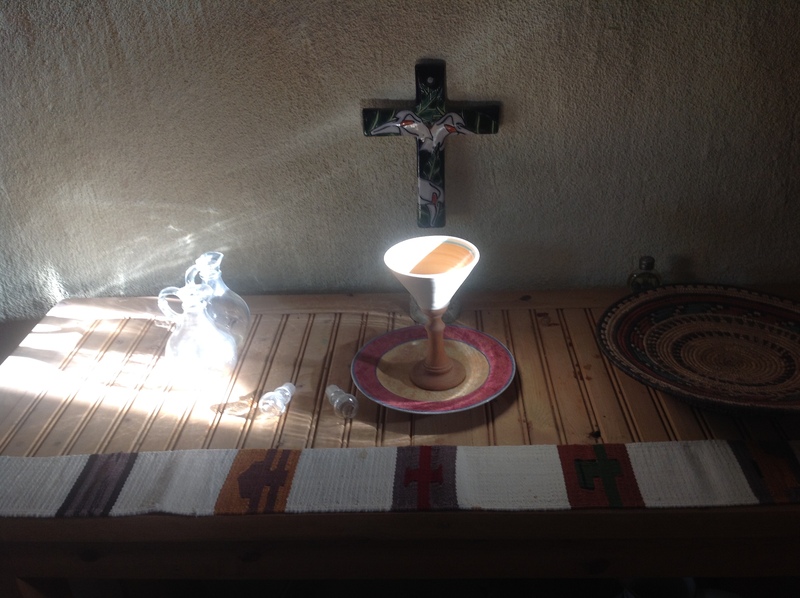 The Eucharist.